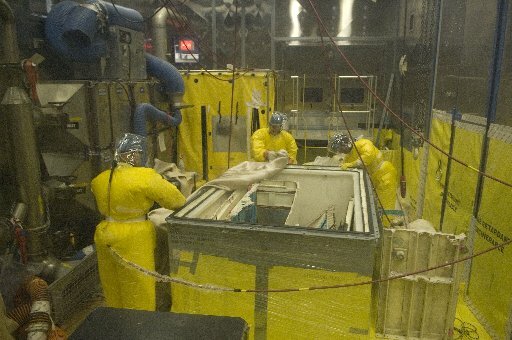 An emergency management exercise will be held Wednesday (June 8) at the Y-12 nuclear weapons plant in Oak Ridge, and the public is alerted that some off-site activities — such as environmental sampling — are part of the drill. This entry was posted in CNS, NNSA, nuclear, TDEC, Y-12 on June 5, 2016 by Frank Munger. This entry was posted in Critters, ORNL, ORO, TDEC on March 15, 2016 by Frank Munger. 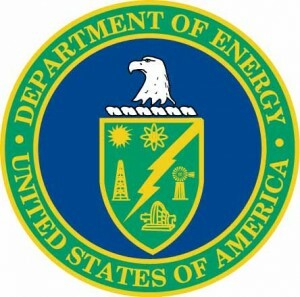 In correspondence and meetings with the U.S. Department of Energy over the past year, the state has raised numerous issues and concerns regarding DOE’s plans for a new nuclear landfill in Oak Ridge. 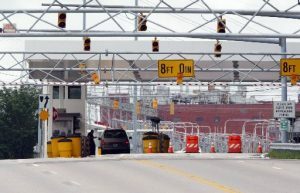 The landfill proposal has become increasingly controversial, underscored by critical comments — including concerns that the addition of more radioactive waste will taint the town’s image as a dumping ground — approved earlier this week by Oak Ridge City Council and echoed by the Anderson County Commission. The Tennessee Department of Environment and Conservation is pushing DOE to consider other Oak Ridge sites beyond the agency’s preferred one, which is adjacent to an existing landfill on the government reservation and only 650 yards from the city boundary. This entry was posted in EPA, nuclear, Oak Ridge EM, TDEC, UCOR on November 21, 2015 by Frank Munger. As part of expanded groundwater studies sponsored by the U.S. Department of Energy, contractors identified contaminants that exceeded drinking water standards in 3 of 36 private wells that were sampled on property across the Clinch River from DOE’s Oak Ridge reservation. This entry was posted in Cleanup, Oak Ridge EM, TDEC on August 12, 2015 by Frank Munger. 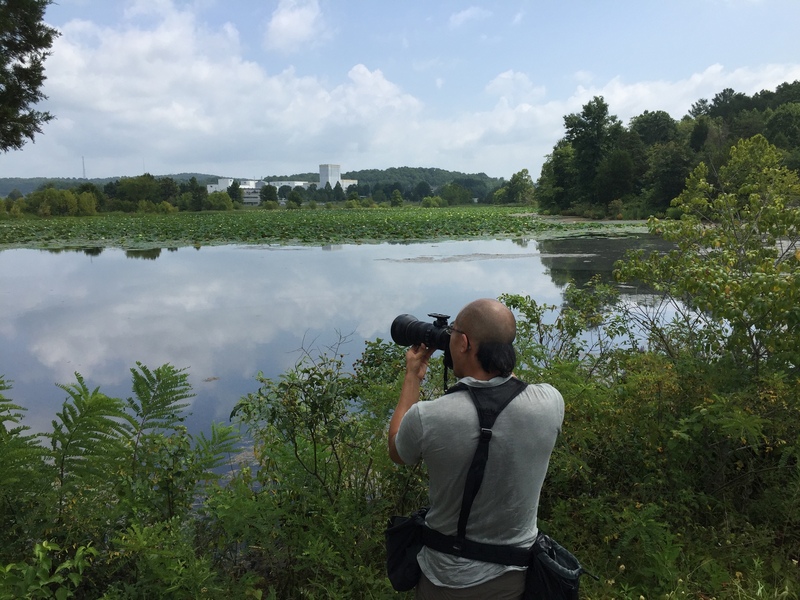 News Sentinel photographer Adam Lau takes some pictures at the renovated P-1 pond near East Tennessee Technology Park. Environmental scientists gave Mother Nature a makeover and — five years later — the results are looking pretty. A 25-acre pond that was oftentimes brown and mostly devoid of plants, thanks to the work of hundreds of grass carp that ate anything green and stirred up the bottom sediments laden with PCBs, now has clear water and a surface that’s alive with blooms of the American lotus and other aquatic plants. This entry was posted in Cleanup, Oak Ridge EM, ORNL, TDEC, UCOR on August 2, 2015 by Frank Munger. The state of Tennessee has historically worked cooperatively with the Department of Energy’s Oak Ridge operations on cleanup issues and has adjusted project schedules and milestones because of technical complexities and budget shortfalls. This entry was posted in Cleanup, DOE HQ, Oak Ridge EM, TDEC on July 30, 2015 by Frank Munger. How long will it take to clean up Oak Ridge? 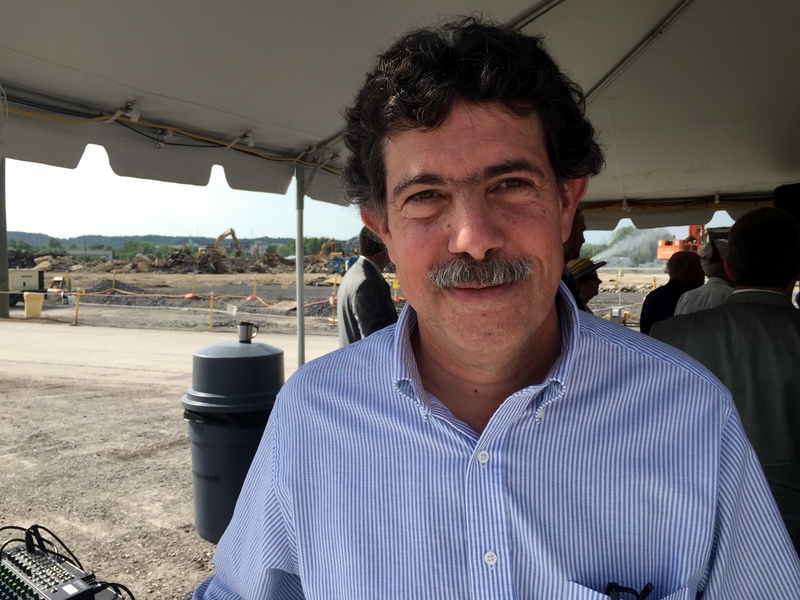 DOE’s David Adler, shown here at the K-31 demolition site, said Oak Ridge is receiving strong support for its cleanup priorities. 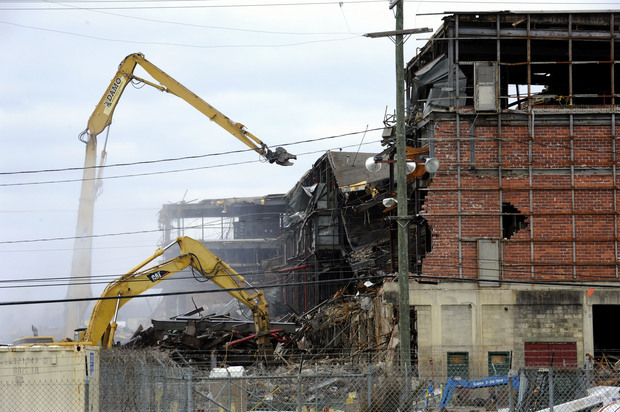 The Department of Energy environmental cleanup program has been an evolving effort since the early 1980s, when the legacy of pollution from the World War II and Cold War nuclear weapons work came to the public’s attention in a big way. 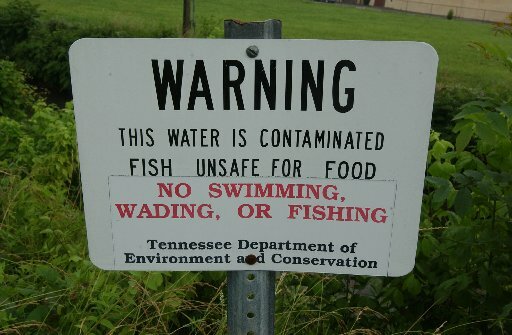 Since then, billions of dollars have been spent on clean up projects in Oak Ridge, and there have been efforts by DOE — prodded by the enforcement powers of the U.S. Environmental Protection Agency and the Tennessee Department of Environment and Conservation — to comply with the nation’s environmental laws and schedule the necessary (and extremely expensive) projects. This entry was posted in Cleanup, EPA, nuclear, Oak Ridge EM, TDEC, UCOR on July 12, 2015 by Frank Munger. What to do with White Oak Lake? 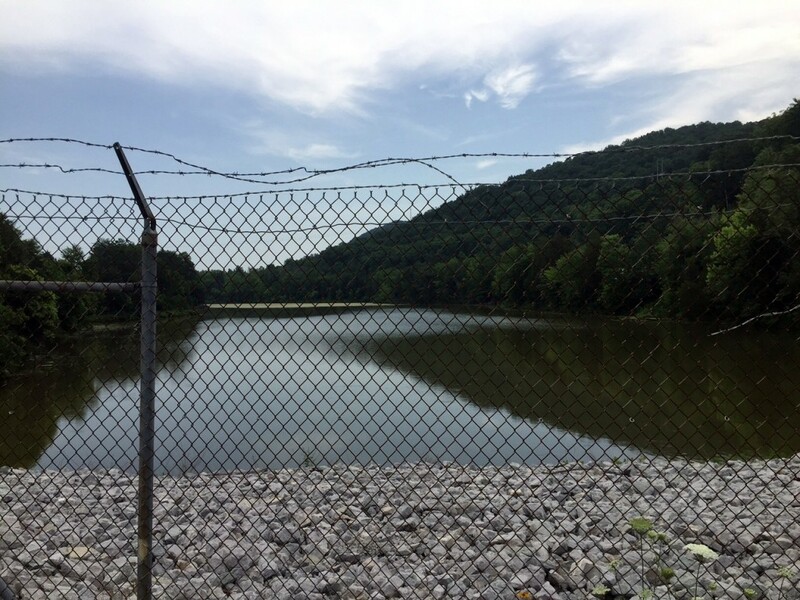 Warning signs at the fenceline restricting access to White Oak Dam, which separates White Oak Lake, pictured below right, from the Clinch River. 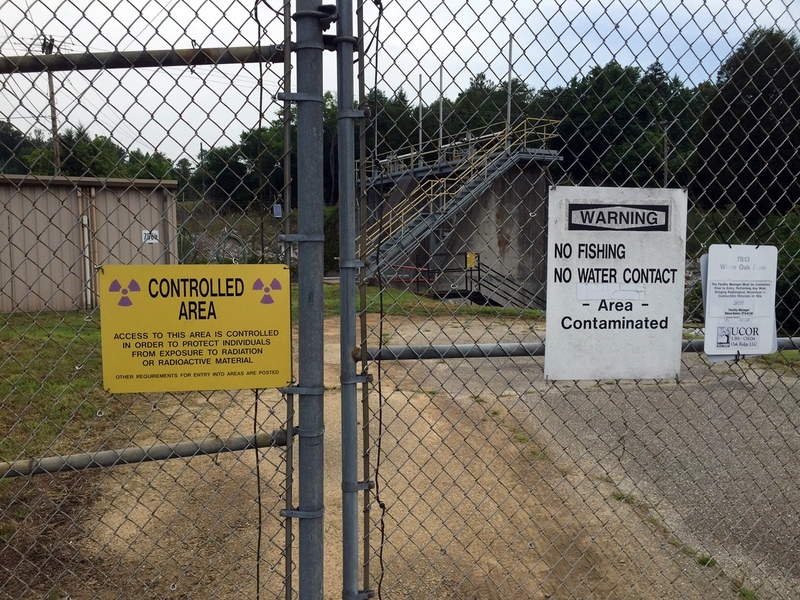 More than 30 years ago, when the magnitude of pollution problems on the U.S. Department of Energy’s Oak Ridge reservation was just becoming apparent, White Oak Lake was dubbed the nation’s, if not the world’s, most radioactively polluted body of water. The 25-acre lake was created during the World War II Manhattan Project to collect radioactive discharges from Oak Ridge National Laboratory’s nuclear operations. The construction of White Oak Dam backed up White Oak Creek and prevented the nuclear wastes from flowing directly into the Clinch River and downstream reservoirs. Much of the worst stuff settled into the lake’s sediments. This entry was posted in Cleanup, EPA, Oak Ridge EM, ORNL, TDEC on July 9, 2015 by Frank Munger. This entry was posted in Cleanup, EPA, TDEC, UCOR on June 25, 2015 by Frank Munger. Representatives from the Department of Energy’s Oak Ridge Office of Environmental Management met April 21 with counterparts from the Environmental Protection Agency (Region IV) and the Tennessee Department of Environment and Conservation. The meeting was an attempt to resolve a formal dispute over plans for a new mercury-treatment facility at the Y-12 nuclear weapons plant. This entry was posted in EPA, mercury, Oak Ridge EM, TDEC, Y-12 on May 5, 2015 by Frank Munger.